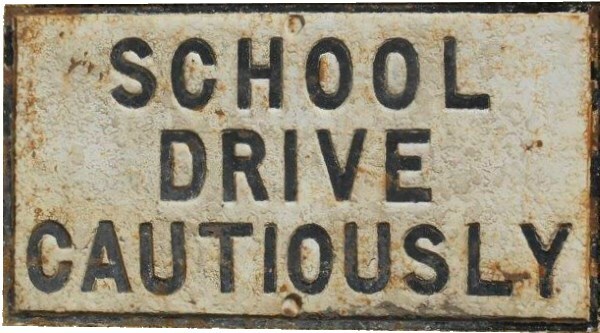 Lot 121 C/I Highway Notice "SCHOOL DRIVE CAUTIOUSLY". As removed condition. Size 26" x 14".